Through their hit blog "My Mom Is a Fob," Teresa and Serena Wu have seized ownership of this formerly derogatory term, applying it instead to the heartfelt, hilarious, and thoroughly unique ways that Asian mothers adapt to American culture, from the perspective of those who love them most: their children. 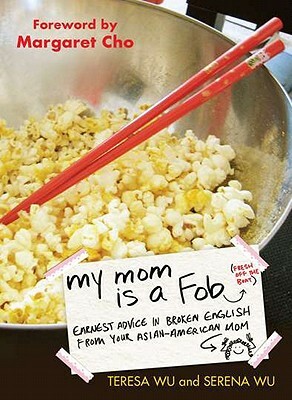 Through texts, emails, phone calls, and more, My Mom Is a Fob showcases the stories of a community of Asian-American kids who know exactly what it's like to be on the receiving end of that amazing, unconditional, and sometimes misspelled love. It's about those Asian mothers who refuse to get in the car without their sun-protective arm sheaths, the ones who send us passive-aggressive text messages "from the dog" in hopes that we'll call home, and email us unsolicited advice about everything from homosexuality to constipation. In these pages you'll find solace in the fact that thousands of moms out there are as painfully nosy, unintentionally hilarious, and endearingly fobby as yours is.